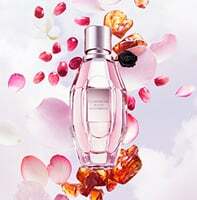 Sparkling Secret is a floral and voluptuous cocktail that leads with ginger, sweet lime and grapefruit. The sparkling brightness of the top is brewed with white flowers and neroli, then enveloped in a creamy cloud of vanilla bourbon and tonka bean—and the expression of "freshness" is reinvented. The rules of classic cologne are disrupted by introducing and effervescent twist. This potion floats as it leads with ginger and grapefruit. The joyful and sparkling brightness of the top is brewed with white flowers and neroli. This floral and voluptuous cocktail is contrasted by vibrant woos and enveloped in a creamy cloud of vanilla bourbon accord and tonka absolute.